LUSAKA, ZAMBIA – The Common Market for Eastern and Southern Africa registered a 3.6 percent growth in foreign direct investment in 2017, says 2018 report. The 2018 COMESA report shows that FDI to the region increased from $18.6 billion in 2016 to $19.3 billion in 2017, about 45 percent of Africa’s FDI inflows. On the other hand, the continent recorded a 21.4 percent decline in FDI inflows, from $53.2 billion in 2016 to $41.8 billion in 2017, a trend attributed to weakening commodity prices. The trend was similar across the globe, with FDI inflows declining 23 percent from $1.9 trillion to $1.4 trillion. 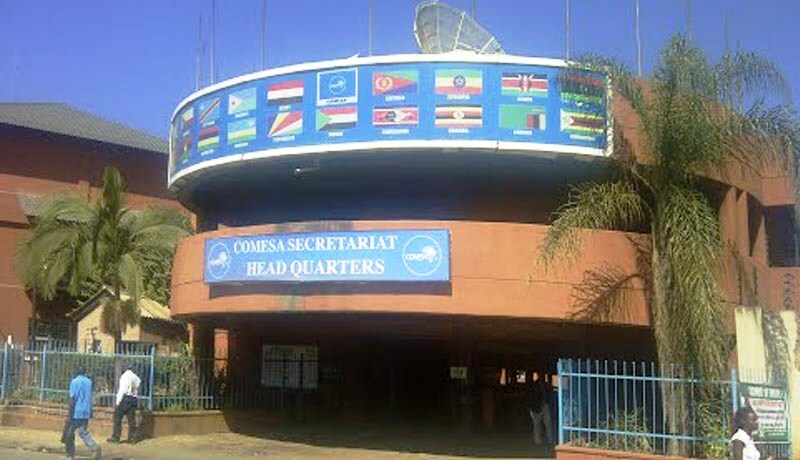 Despite delays by most member states in ratifying the Tripartite Free Trade Area (TFTA), which seeks to create a 27-state trading bloc, COMESA is optimistic that FDI inflows will continue to increase, especially with the launch of the African Continental Free Trade Agreement (AfCFTA). So far, 49 countries have signed the agreement and 12 have ratified it with 22 ratifications needed by March 2019 to enable it to enter into force. Kenya was among the COMESA members who recorded an increase in FDI inflows, receiving $671.7 million, up from $393.3 million in 2016 — a 70.8 per cent growth. Burundi posted about 50 percent growth, despite the political crisis that continues to cast a shadow on its economic prospects. Burundi, Mauritius, Democratic Republic of Congo, Zimbabwe, Madagascar and Malawi were the countries that saw significant declines in their FDI intensity index between 2016 and 2017. The report says that the private sector continues to be the key attraction of investors. Sectors like manufacturing, oil and gas, real estate, construction and financial services are the main targets. Overall, Egypt and Ethiopia took the lion’s share — about 63 percent and 44.4 percent respectively. In Egypt, where the FDI inflows were valued at $8.5 billion, petroleum, services and manufacturing sectors were the major recipients, accounting for about 86 percent of the total FDI distribution. About 92 percent of the inflows into Ethiopia, valued at $3.5 billion, went into real estate and business activities, manufacturing and construction in 2017. According to the report, the top gainers in terms of growth were eSwatini at 161.8 percent, Zambia (77.9 percent), Kenya (70.8 percent), Burundi (49.7 percent) and Seychelles at 23.6 percent. Significant drops were registered by Mauritius at 45.8 percent, Zimbabwe at 22.2 percent, Malawi at 14.9 percent, Madagascar at 13.7 percent and Ethiopia at 10.1 percent. The countries that saw significant declines in their FDI intensity index between 2016 and 2017 were Burundi, Mauritius, Democratic Republic of Congo, Zimbabwe, Madagascar and Malawi. Madagascar reported an average of about $148 million, followed by Rwanda with about $66 million of inflows originating from the Comesa region. Other notable destinations for Comesa-originating investment were Uganda at $55.1 million, Zambia at $23.4 million, Kenya at $22.6 million and Egypt $22 million. The report shows that FDI outflows from the Comesa region posted a downward trend of about 30 percent from $1.3 billion to $787 million. The Democratic Republic of the Congo accounted for more than 37.1 percent of the total Comesa FDI outflows. Other countries that registered significant outflows in the region were Egypt and Libya at 25.3 percent and 14 percent respectively. South Africa continues to be the main source of inflows from Africa into Comesa countries, averaging $158.7 million to Kenya, followed by Zambia with an average of $140 million, $50 million to Mauritius and about $35 million to eSwatini. Out of 116 cross-border mergers and acquisitions (M&A) in Africa, Comesa economies accounted for 42 in 2017, flat growth from the previous year. The deals were mainly in Egypt and Kenya. Out of the 99 cross-border M&A deals in Africa in 2017, 28 were from Comesa economies, with Mauritius accounting for 19 of these.